Recently, I had the honor and privilege of being interviewed by a local high school student for their Sociology class. Though I field many questions regarding specific client cases, I found this particular experience to be very eye-opening; I felt that if this teenager (who isn’t a client) had these questions, I’m sure that others are wondering the same things. With this individual’s (and her parent’s) permission, I am pleased to share our interview in hopes that it may help build connection and reach teens who may be looking for help and are not sure where to start. Student Interviewer: In what ways are therapists trying to solve the problem of teen’s mental health issues? Danielle: I love that you asked this question. It is my belief that we currently live in a “fix-it” culture where we expect to take a pill or see a therapist and then after 4-6 weeks, the problem very quickly just disappears and is considered “solved” or “cured.” While this would be convenient, it’s a very common misconception. While I can’t speak for all therapists, I can speak on my own professional experience working with teens and their families. At least right now, I wouldn’t say I’m working to “solve” the problem as much as I am trying to honor, connect with, and normalize the adolescent experience. Adolescence is unfortunately an unavoidable, yet necessary process of growth and development that is filled with self-discovery, self-comparison, and sometimes, even self-criticism. It’s the transitional period between childhood and adulthood, and the discomfort and awkwardness of it all is VERY REAL. The nice thing about that, however, is that everyone who lives to adulthood goes through it, and I mean everyone! So, at least you are in good company! There are a number of transitional periods in your life when you will ask yourself, “Who am I?” Adolescence is perhaps the most memorable growth moments to happen across your lifespan, because it is the first time that your brain has developed enough for you to be aware of yourself and others in a social context, and then really remember it. It’s much like watching a baby walk for the first time. Those brain muscles and thought processes are new and a bit weak, so you’re going to fall or mess up. A LOT. The important thing is to get back up and keep trying. This leads you to get stronger and stronger, until eventually it somehow becomes second nature. Sometimes, this transition can be a shock to our system and when you factor in family of origin and past experiences, it’s not uncommon to see anxiety, depression, etc. appear. In my work, I use some Evidence Based Therapy approaches (those that have been researched thoroughly and have been shown to be effective in certain groups of people) such as Cognitive Behavioral Therapy (CBT). Essentially, CBT is one way to help people see how their thinking can be a little faulty, and help them learn how to shift their thinking. I also incorporate what is called Interpersonal Neurobiology - which is just a fancy way to say that I’m looking at how our brain develops and changes in response to our life experiences - as well ways to connect to ourselves and to others. Connection to others is KEY to healthy development! Additionally, I utilize a lot of creativity through art, writing, and nature. Sometimes it can be difficult to put into words what you are experiencing, and it may feel safer to use a less verbal outlet. SI: Are there specific ways you try and reach out to teens? If so, what are they? D: In terms of outreach, I personally could be so much better - particularly in terms of social media. That’s the way to connect to your generation, yes?! Lol. Professionally, I have been fortunate to become a part of a group practice that has a positive and well-established reputation and social media presence. This has allowed me to accumulate clients, and then ultimately, it is word of mouth. I also allow myself to be vulnerable with teens and show them that I’m a real person who has gone through real life stuff. I acknowledge when I mess up within the therapeutic relationship (it happens! People are people! ), and I model what repair looks like in a social and relational context. This is something that I am constantly working on! SI: How can a regular person help someone out who struggles with their mental health? I like these because they guide you through ways to think differently about your situation as well as track your mood, behaviors, and give you ways to take care of yourself. **Please note that these are NOT a substitute for professional treatment. SI: Thank you so much! I hope to be able to reach out if I have any more questions, and I’m really excited to share these answers! D: Absolutely, I’m so glad this was helpful! I hope that this Q&A was as helpful to you readers as it was for my interviewer and I, and if you ever find yourself wondering more about how mental health affects teens, please be empowered to reach out to your trusted support system as well as the resources listed above. They are a part of your community and you are a part of theirs! You’re curiosity and questions matter, and as cheesy as it sounds, knowledge truly is power. Like, for real. Much gratitude to you all! If you are a person with access to the internet, radio, television or books and magazines, it’s very likely that you’ve come across the word “mindfulness.” Conduct a simple Google search on “New Year’s resolutions,” “how to deal with anxiety,” or any other self-betterment phrase, and you’re bound to find yourself sifting through pages of articles praising this seemingly miraculous technique. Even searching through our blog will bring up tons of tips and techniques for it! If you’ve met with me in any kind of therapeutic capacity, you’ve definitely heard this word and have likely even practiced it in some way. So, if mindfulness is so important and apparently the cure all to what ails you, what even is it and why is it so hard to actually do? Despite its intent and purpose, I’ve found that the word itself can seem a little daunting – not only for me but for many of my clients as well. According to Dr. John Kabat-Zinn, a researcher/professor of medicine and founder of Mindfulness-Based Stress Reduction, the definition of mindfulness is this: to pay attention in a particular way, on purpose, and non-judgmentally. Though it sounds simple enough, how realistic is it for teens to take on this practice when judgment and comparison of self and others is practically core to the adolescent experience? As I explored this issue with some of my teen clients, I realized that there was quite a bit of push-back on incorporating mindfulness outside of session. The stories shared with me spoke to a sense of being bombarded with the idea that we should all be more mindful and if we aren’t, then something is wrong with us (cue judgment and comparison, am I right?!). The images of “mindfulness” we see on Instagram are typically of people sitting cross legged in a very zen-like space filled with lots of plants, string lights, and all the tapestries and floor pillows Urban Outfitters has to offer. While I do love a good tapestry and plants (and Urban Outfitters, if I’m totally honest), we have to get real about what the practice actually is and recognize that this likable image does nothing but couple the word “mindfulness” with a sense of dread, inadequacy and failure. To help empower my clients to redefine the word on their terms, I’ve created my own definition: “simply being, simply noticing; being right here, right now as you are; no more, no less; noticing that you are here and that you’re okay.” I like to think that “being” and “mindfulness” are interchangeable, and really just a way to move out of auto-pilot. For instance, we may be sitting in class, or our fingers may be scrolling through Snapchat or Instagram. While we may appear to be focused, our minds are often elsewhere, ruminating (aka dwelling) on past mistakes and anticipating future failures instead of just being right here, right now, and being okay. Holding a mug filled with a warm beverage, noticing the warmth, in your hands, watching the steam rise, and noticing the smell. Brushing your teeth: notice the taste of the toothpaste, the way the bristles feel different on your teeth, gums, cheeks, tongue etc. Noticing the way water feels on your body during a shower or bath. Notice the feeling you get when you open a car window or step outside. Notice the color of the sky, if there are clouds, if there are trees. Sitting with a friend and watching the way they talk. Do they talk with their hands? Their face? Their eyes? Notice any flowers. Notice the color, the smell, the softness of the petals or the texture of their stems. Place your feet into a pool, tub, or local water source. How does the water feel on your feet? Between your toes? How did the water move? What do you feel under your feet? Did this cause any other changes in your body? You and your fellow humans are wonderful and beautiful souls that are deserving of even just a few minutes of noticing, especially when you’re stressed (remember when we are stressed we don’t even think clearly!). Pay attention to your thoughts and if you catch yourself getting stuck in a doom and gloom spiral, slow it down. Stop, take a deep breath, and just notice what . Be right here, right now. As you are. No more, no less. Just Breathe. The emotional support and unconditional acceptance from the caregiver/parent of a youth is imperative in promoting a positive and successful life for the youth. Each and every one of us have navigated through our own identity formation stage in life. Through this stage, we recognized and eventually embraced all of the pieces of ourselves that create our own identity. For some, that period included the construct of heterosexuality and for others that stage included: homosexuality, bisexuality, sexual fluidity, or any other construct that is not within the parameters and confines of heterosexuality. Our gender identification also occurs during this period. Whether it be the two binary gender concepts of male and female or gender concepts that fall outside of the binary constructs such as: non-binary, gender fluid, agender, or transgender. Regardless, though, of what is learned and embraced, each and every one of us were provided with an opportunity to learn and appreciate who we are as individuals. Kiddos need that same opportunity as well as the unconditional love and support from their parents/caregivers. I could sure get academic and rattle off the various studies that have been conducted to assess the emotional well-being of youth who consistently received that support from parents compared to youth who did not receive that love and support, but I’d rather talk to you as a person and not a research study. Yes, each study identifies grave disparities between the two groups and the well-being of those where the love and support was withheld resulted in poor mental health, school performance, struggles in maintaining healthy relationships, and substance use issues. More important, though, individuals who don’t receive that unconditional love and support from their parents are often left floundering and feeling abandoned by their foundation – their parents &/or caregivers. Within my practice, I often hear parents say, “I just want to love my kid but now that they’ve told me (I’m gay, I’m non-binary, I’m transgender, etc.) I feel like I just don’t know how to show him that I love him anymore.” I’ll often respond with a question of how the parent showed love to her child prior to the ‘announcement’ and how is it that the love of yesterday can’t be displayed today? What often is discovered is that the parent &/or caregiver has gotten caught up in her own struggles with the youth’s identity which has caused a rift in the relationship between parent and child. Through positive support, education, and processing, parents are able to work through their own biases and return to a place where their love is no longer hindered by their fears. Parents – love your kiddos. Whether they’re 2, 15, or 46 years old, they need to know that you love and support them. When you see your child struggling, talk to them. Don’t talk down to them, just talk to them. Educate yourself, reach out to someone to talk to, join a parent support group, or set up an appointment to meet with a therapist. Do something so that you are best equipped to be that core source of support and love for your child. Don’t allow your biases or struggles become your child’s torment. Rather, relish in the thought that your child loves and trusts you enough to show you his true and authentic self for it is within this authenticity that genuine love thrives. As many of you know, working with LBGTQIA++ youth is a passion of mine. Once the holiday’s pass and things begin to calm down a bit, I will finally be starting up a processing/support group for high school-aged individuals who identify as LGBTQIA++. I’ve attached our groups flyer with additional information. Contact us by clicking the button below to start the enrollment process! Teenagers: society often labels them as hormonal/moody, irresponsible, and addicted to technology. While some say these stereotypes exist for a reason, what happens if a teen is experiencing anxiety or depression? Do these labels change? How can you even tell? For parents of teens, it can be incredibly difficult to recognize whether your teen’s behavior is “normal” or a sign of an underlying mental health issue, especially since many symptoms tend to be similar. When you read these, it may not appear that the two examples are similar. However, behaviorally, they are commonly expressed in the same ways; especially from a parent’s point of view. So, at what point does a teen’s behavior go from developmentally appropriate to something more serious? The chart below provides a few (though, not all) common examples to keep in mind. *Please note that this chart is not a replacement for professional consultation, and any concerns should be brought up with your child’s mental health care provider or primary care provider. If your teen has told you that they are depressed or if their behavior is concerning, professional attention is warranted and should be sought out as soon as possible. Build empathy by putting yourself in their shoes. While you may be frustrated that your teen is irritable, remember that even day-to-day tasks require significant energy that they might not have. If they are exhausted, it’s understandable that they may want to just retreat to their room. Recognize that if they could snap their fingers and feel better, they would. Validate their emotions, NOT the behavior. Try saying, “It seems as though you’ve been really down lately. Is that true?” Make it clear that you want to try and understand what’s troubling them without trying to problem solve. Ask questions calmly, gently, and without becoming emotional. Listen calmly and without judgment. Notice your teen when they are doing something positive, and let them know verbally and directly that you see the effort they are putting in. Don’t weigh these behaviors on what they “should” be doing. We all like to be noticed for our efforts, even if they are expected. Some teens will want help, and some won’t. This is normal and expected when asserting independence. Be prepared. Do your research. Find 2 or 3 therapists they can interview and let them know that they can choose who they feel most comfortable with. Finding a good fit is very important, and letting your teen choose gives them ownership over their treatment, setting the stage for it to be more effective overall. It can be emotionally exhausting to be a parent of someone struggling with depression. Make time for yourself and ask others for support. Create time after school to talk with your tween/teen. Finding a time to check in with your child regularly that is free from distractions and audiences (siblings, other family members) gives your child a consistent safe space to share their concerns and fears about their new school. If your child seems “burned out” at the end of the day, give them time to recharge before you start asking questions. For a child who is feeling isolated at school, having a space to vent and connect at home is imperative! Leave your preconceived notions at the door. What may seem like a big deal to you (i.e. sitting alone on the bus), may not be the main concern of your child. Understanding specifically why your tween/teen is happy or unhappy at their new school will give you a better understanding of how you can support them. Don’t fix, reflect first. When your teen is upset, it’s easy for parents to want to offer advice to help them fix the problem. For transition issues, there are often a lot of factors in play because all of their surroundings are totally new. I have compiled a short list of “action steps” below, that teens can take to help get more adjusted to their new school, but before you start offering advice or comparing the old and new schools with your child, be sure you truly understand why they are upset. A simple reflection of feelings can save a lot of tension between you and your teen. What you may find out is that an element that you didn’t expect is to blame; perhaps a disruptive classmate is causing confusion, rather than the content or pace of the class. By reflecting, your child is given a mirror to understand the message they’re conveying. Tweens/Teens are still finding their voices, so reflecting on their feelings and checking for understanding not only helps parents address the correct issue, but it also gives your child the language they need to appropriately express their concerns! Talk with your child’s favorite teacher, or their least-hated teacher, depending on how your student is feeling about the new school year. Teachers are in a unique position to help kids meet one another. Because teachers initiate peer interaction through natural class activities and give students automatic talking points, kids are able to meet each other in ways that feel less intimidating. They also know most of the kids in their classes by the end of September, so they can steer your child towards a group who shares similar interests. Introduce your child to their school counselor. If you have a child experiencing anxiety or apprehension with school, you don’t want to wait until your child is in full “meltdown mode” to start talking with some of the support staff. Counselors often have friendship groups, mentor/mentee opportunities, and the ability to give students a safe space to vent if an interaction at school doesn’t go as planned. Proactively meeting their counselor allows your child to build a relationship with them before needing it! Get involved! Join the PTSA, a booster club, or offer to volunteer at an extracurricular event. Your child will learn a lot of their social cues from you. By modeling the act of “putting yourself out there” to meet others you are demonstrating that even in intimidating circumstances meeting new people and making new friends is rewarding and important. Reach out to a therapist or medical provider if your child is taking the transition especially hard. Sometimes having an outside adult to process the new surroundings allows your tween/teen to express their feelings of isolation, anxiety, and depression, while learning how to cope with difficult situations and thrive in their new environment. Be sure to fill out a Release of Information, so that your child’s therapist can connect care and strategies with their school (you can decide what information to share between all parties on the form). Stick to the basics. When you start at a new school, everything can feel overwhelming. During the first few weeks, give yourself permission not to know everything. In the first month, if you’re able to get to your classes, find the bathroom and cafeteria, and know your way home, then you’re doing great! Have compassion for yourself. It likely took years to know all the ins and outs of your old campus so don’t panic! You will get the hang of your new school layout, learn teachers’ names, join groups of kids, and figure out the overall “way of life” at your school, it just takes time. Join a club. Feeling connected to your new community will help make your time at school more enjoyable! Most schools have LOTS of activities for their students to get to know one another. Gone are the days when sports and academic clubs were the only extracurricular options. Now, most campuses have robotics and technology based clubs, art, movies and creative clubs, and even some form of game clubs (Minecraft/D&D/etc) in addition to athletic options. If your campus doesn’t have a club that interests you, talk with a teacher about starting a new club. Also, try something that you maybe never thought you would like. Lots of professionals are in careers that they never expected, so this might be your start to a newfound passion or hobby! No time after school? No problem! Many schools are now offering clubs that meet in the mornings or over lunch. Put down your phone and make eye contact with others! It sounds cheesy, but humans are less likely to approach someone new if they feel like they’re interrupting or imposing on someone else’s space. If you’re staring down at your phone, it’s hard for others to determine if you’re intentionally looking for peace and quiet or if you’re just passing time while also being open to meeting new people. Talk to one new person, each day. It could be someone in your PE class that runs at the same pace as you. It could be your table-mate in Math class. Even if you don’t think you will have anything in common with the other person or the conversation only lasts 30 seconds, by simply smiling and saying hello you will be presenting yourself as someone who is friendly and approachable. By presenting yourself in this way, others will feel more comfortable and invited to talk with you. Talk with your parents! Even if they don’t completely understand what you’re going through, telling them your concerns builds a stronger connection and allows them to step in and help when you feel overwhelmed. Remember: You are not alone. Most tweens/teens report feeling uncomfortable when they switch campuses! And almost all of them are looking to make new friendships and connections, even if they don’t show it outright. 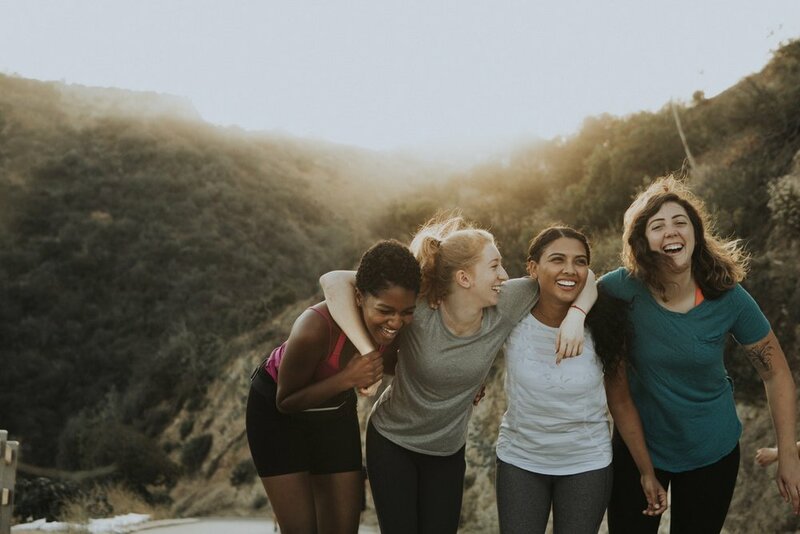 Whether you’re moving to a higher grade level on a new campus or moving schools mid-year, keep in mind that friend groups are fluid and ever-changing. By being open and trying new activities, you will build a friend group that is unique and satisfying for you! I was having this conversation with a parent the other day about how our role changes pretty much continuously as our kids develop, and how much we have to shift the division of responsibility as they grow up. If you think about it like a big, messy pie, our share of responsibility goes from the whole dang thing as caregivers to infants to a big thick slice in the middle school years to a thin and very delicate sliver as our teens get ready to launch. The way we adapt to the shifts in the division of responsibility can influence how our kids develop the skills needed for living independently, how much we experience power struggles in our relationships with our kids, and how prepared we are for the inevitable letting go that occurs inch by inch as our kids get older. Like development in general, changing the division of responsibility is not a linear process. It can ebb and flow along with each child's unique ability to manage increasing responsibility, and as they experience the inevitable mistakes, backslides and missteps that mark the process. How we adapt the division of responsibility is also dependent on our own willingness and ability to step back, let go, and create space for our kids to try new things that they will have to mess up a little along the way. This can be uncomfortable, anxiety-provoking, confusing and scary for parents. It also means that we're constantly having to reassess our own readiness and our kid's readiness for taking over a larger piece of the pie. In early childhood, we can get in a routine of "doing for" our kids in big and small ways, and it can be tough to know when the right time is to give them a little more autonomy. How much do we manage *for* our kids and how much do we manage *with* our kids? How do we get comfortable with all the discomfort this messy process uncovers? Part of what makes this so challenging is that there's no way to change up the division of responsibility without experiencing some failures and some heartaches. This is the hardest work of parenting, learning how to manage our own fears and pain as we give our kids room to skin their knees, experience loss, and get their hearts broken along the way. Think about a time your young child made a mistake. How much did you step in to correct course for them? How much did you have to guide, manage, advise, and direct this process? Now what about with your teen? How different does it need to look in order for your teen to develop the necessary skills for living independently from you? The teen brain is wired for novelty-seeking and risk-taking, but it's also wired for resilience and growth. The most effective way to nurture our teen's developing frontal lobe (home of all the critical thinking and executive functioning skills) is to give them plenty of room to practice, practice, practice their increasing responsibility to directly manage their own lives, and to learn how to parent from a place of collaboration & compassion as they grow. This isn't about turning our backs on them, or shutting them out, or leaving them to fend for themselves. It's about moving from the position of leading them by the hand (sometimes dragging them kicking and screaming) to walking behind them with a gentle hand raised in readiness to help steady them when they stumble. Because how will we, but more importantly they, ever know what they're really capable of until we give them room to try? Need some guidance or support with navigating the tricky teen years? We've got you. Check out Blake & Tracy's TeenWise® Parent Coaching or our Therapy Services to find out more about how we can help. You don"t have to parent alone. Ah, summer. It’s the time of year when the smells of backyard barbecues, sunscreen and citronella combine seamlessly in the hot Texas air. On your evening walk to the mailbox you're able to hear kids playing, cicadas chirping and lawn mowers in the distance. If you’re an adult, you may pleasantly reminisce to those days of summer when you didn’t have a care in the world and you spent your days out on amazing adventures which brought you home, miraculously, just in time for dinner. Millennial adults remember the hours spent roaming movie theaters, three-way calling and imagining what kind of housemate you’d be if you made it on Road Rules or The Real World (or is that just me?). It was a simpler time back then. Relaxing. Carefree. What we often forget, however, is that summer is a time of transition. It is a time when both parents and their children experience a loss of structure, which can end up being challenging for everyone involved. It is important to keep in mind that for most young people, this structure is really about their social life. School provides ample opportunity for connection. Without it, some teens might become anxious about how they are going to continue those relationships throughout the summer. Add to that the pressure of making the team, staying on top of their college preparations, getting ready to move to a new school, feeling self-conscious about “swim suit season” and finally, having their parents remind them that summer is about having fun and relaxing! This is all but relaxing, especially for a teen experiencing anxiety or depression. School provides opportunities for young people to build connections and relationships (ultimately building support), contribute to the well-being of others, practice social skills, and check in on how they view themselves against a more realistic barometer. Teens with anxiety or depression may isolate themselves to feel safer, but this approach can actually make negative feelings worse. With anxiety and depression, your teen might experience avoidance and lack of motivation. Depression feeds off of free time, and free time reinforces the distorted belief that they have no purpose or value because they are not able to self-motivate. Feeling like they have not accomplished something can stir up guilt, shame, frustration and anger. Finding an activity for them can help structure their time, while also allowing them to explore something they feel passionate about – ultimately increasing their sense of self-worth. During the year, school allows teens to focus on productive activities. It gives them natural opportunities to push away negative thoughts and feelings, because there is other work that requires their focus and attention. This stimulation has the potential to keep depression at bay. When summer comes along and there isn't a school schedule to follow it is easy for teens to lose focus and experience a lack of stimulation, which can lead to increased anxiety and depression. Have a Schedule – create a to-do list, even if it seems minor. Daily Physical Activity – It fills time, improves mood and is an opportunity to accomplish something and/or nurture social relationships. Employment / Volunteer Work – An effective tool against depression is helping others. Employment or volunteering opportunities can provide structure, stimulation and social interaction. Strengthen Existing Commitments – Whether through club sports, faith communities or additional learning, teens can find purpose when engaging with their community. Stay Focused on Academics – While a reprieve from the pressures of school are necessary, keeping up with academics is beneficial for some. It can also ease their transition into the next school year. Leisure - Ideally, leisure time is given the same priority as the items listed above and is mainly social. This allows teens to take time for themselves and blow off steam by participating in activities they enjoy, with people they enjoy. * Remember that these are activities of their own choosing, and not something that you hope they will enjoy. Down Time is IMPORTANT! – There is such a thing as TOO MUCH activity. Filling every minute of the day with activities is exhausting and might even decrease their self-esteem. Regardless of age, it is important for everyone to have time to unwind and be alone, as long as it’s only one part of many. A thoughtful and well planned summer can not only help those with depression and anxiety by avoiding certain stressors, but it could also help them make gains in managing their illness! ParentTip: The Mayhem of May! The month of May is often fraught with a unique blend of moments; the kind of moments that elicit intense highs and lows that can end up making parents feel scattered, overwhelmed, and all over the emotional map. Sometimes we refer to this feeling as an emotional rollercoaster. I certainly feel those peaks and valleys, and for years I have noticed that other parents do, too. It makes sense though, when you step back and take a look at the type of moments that get packed into this little month. Graduations! School parties! Finals! Proms! Summer internships! New jobs! Packing for camp! I could go on and on... as a parent, you get the picture. Although the constant commotion can become overwhelming, I think each moment individually matters in a notable and remarkable way to each of us. These milestone moments are saturated with growth and meaning, whether your child is a toddler, teen, or young adult. The month of May is an extraordinary time where bittersweet endings and exciting new beginnings overlap and get entangled. It is a time for greetings and goodbyes, each of which are laden with complex, mixed emotions, whether that be a fear of letting go or an eagerness to do so. No wonder a parent can feel all over the place! This post goes out to parents at the close of May and the opening of summer. May you find comfort in knowing that your heightened emotions make sense, and that you are not alone. Summer is on the horizon. Parents, you are almost there. May the breath of summer bring a respite from the mayhem of May!